Our reception area is normally open from 8.15am until 6.00 pm and telephones are answered from 8.00 am to 6.30 pm. There is no break for lunch as the reception is always covered by a member of staff. We are closed for training purposes one afternoon a month and details are posted on the surgery door. There is a weekly variation in each doctor’s consulting hours. The receptionist will be happy to give you details. Any message which needs a doctor’s consideration will be entered onto the computer for their attention. We are closed on Bank Holidays. Please check arrangements for any other closures on the notice boards and windows. This is a training practice and the team participate in the further training of doctors, who are already experienced in hospital medicine and wish to further a career in general practice or those who are considering a career in general practice. The practice also teaches medical students from the University of Manchester. 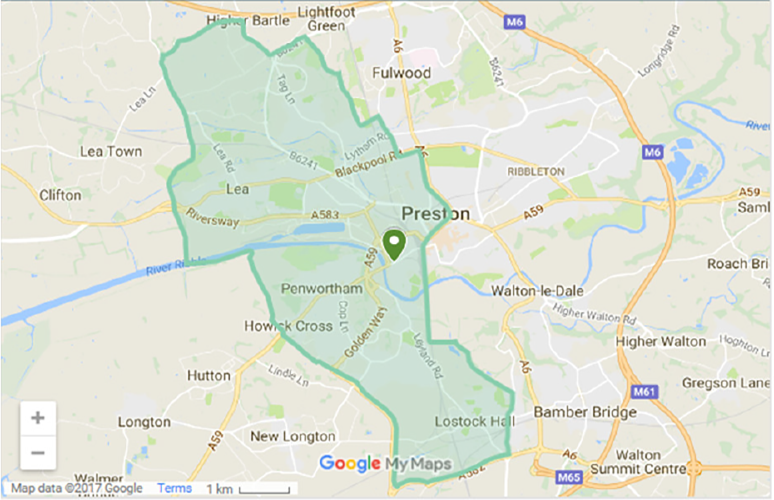 The practice generally covers the Broadgate and Ashton areas, Upper Penwortham and parts of Lower Penwortham, parts of Fulwood, Cottam, Lea and parts of Lostock Hall. If you’d like any more information or would like to find out how to become a patient here at Fishergate Hill Surgery then please get in touch.